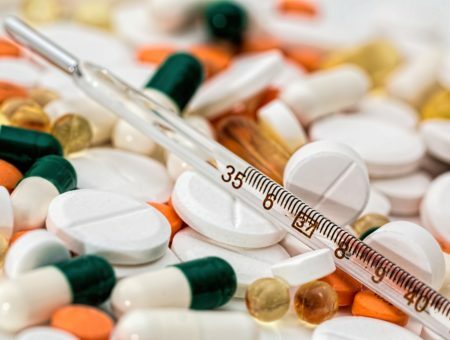 Now that we’re all home for the holidays, we can fully appreciate the benefits of home life like never before. Dorm life, at least for me, has already faded to a dim memory in the light of home-cooked meals and a much more sizable bed that I can sprawl out on without worrying about falling off the edge. 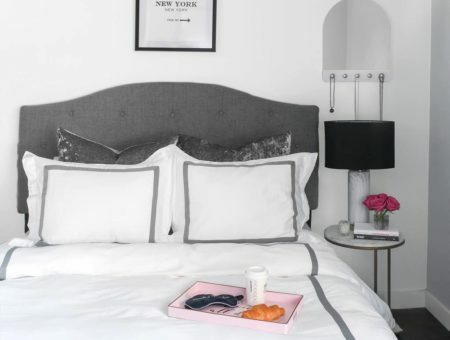 Style, however, never takes a vacation — so while we’re all busy digesting our holiday meals, let’s take a look at three beautifully decorated dorm rooms and apartments of CF readers, each with their own unique tastes and interior design. 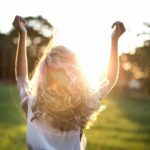 In this third installation of Dormspiration, we’ll be exploring Epiphany’s single at Wake Forest University, Sarah’s apartment bedroom at Truman State University, and Camille’s on-campus apartment at the University of Maryland. Enjoy! As soon as I saw Epiphany’s room, I was immediately drawn to its rich color scheme and unique pieces. Everywhere you turn, there’s something unusual and gorgeous, whether it’s a carved piece or an interesting texture. 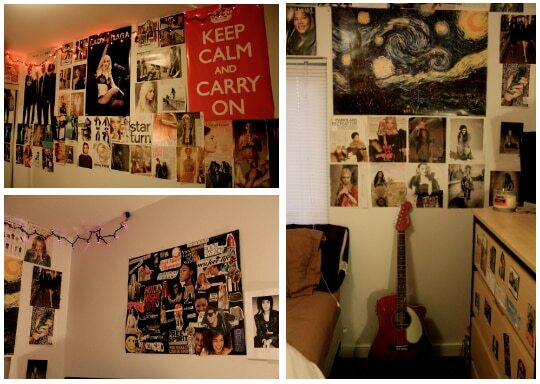 Epiphany really worked hard to make her room feel warm and homey, and she certainly achieved it! 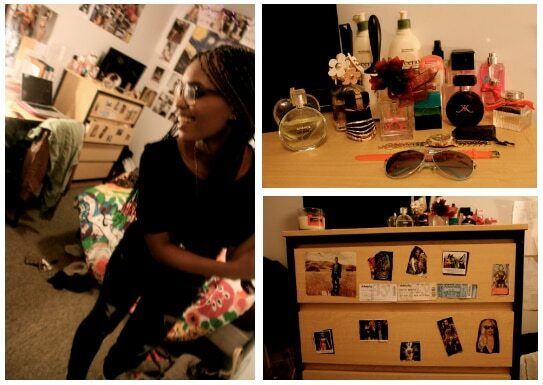 The key elements of Epiphany’s dorm that make it so cohesive include a color scheme of golds, reds, and browns, a taste for blending unique patterns and textures together (see her gallery of frames! ), and a collection of fascinating pieces picked up from her travels. Read on to learn about Epiphany’s interior design style! The deep blue of Epiphany’s bedspread complements the reds and golds of her decor, and I love the juxtaposition of damask and bohemian prints, as well as the framed prints that create symmetry. 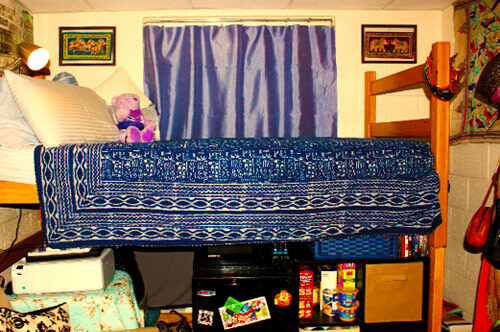 What inspired your dorm room’s design? 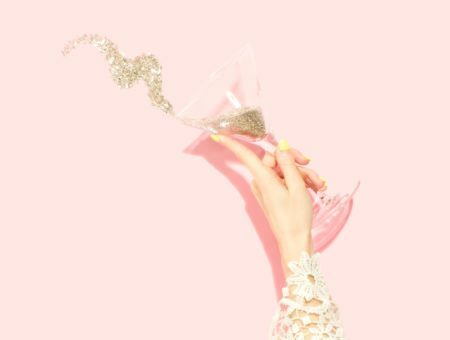 Where are your favorite pieces from? Epiphany’s metallic elephant is absolutely gorgeous, as is the arrangement of frames, keeping in line with the room’s symmetry. 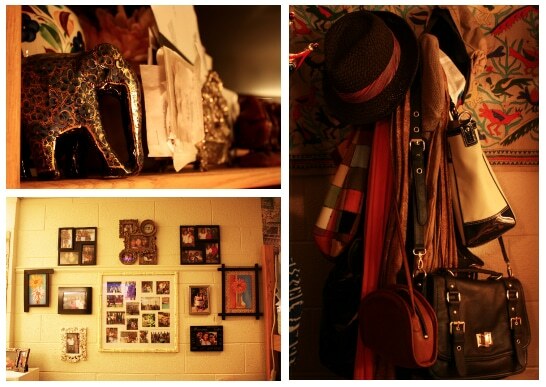 Even her accessories contribute to the cohesive and homey nature of the dorm. 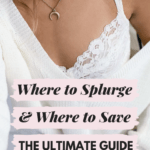 What’s your secret for decorating on a budget? What’s your favorite memory of something that’s happened in your room? Epiphany is every bit as eclectic and put-together as her room, and I love how she made a shadowbox out of a shelf with a few trinkets and a framed photo. Also, you’ve probably noticed that she is a phenomenal photographer! Sarah’s apartment bedroom at Truman State University is light, bright, and full of Liberty of London prints (with many from their Target collection!). 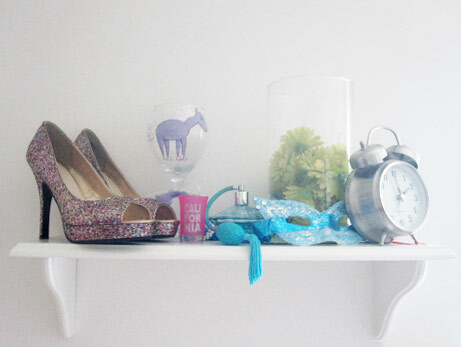 I love the pops of bright color everywhere, and the unexpected pieces that make the room feel so cheerful and feminine. White is definitely the clean slate that Sarah has made full use of as a simple backdrop for her eye-popping design. 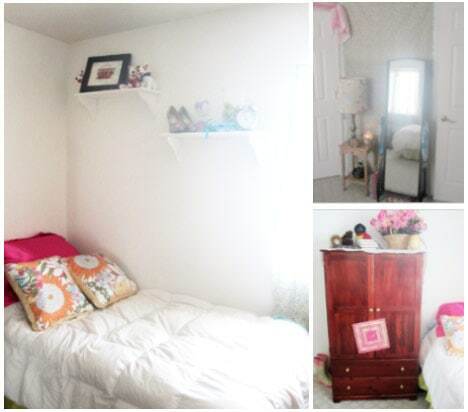 It helps her room feel so whimsy and lighthearted — the perfect place to come home to after a stressful day at school! 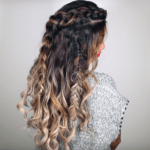 Below, she describes what inspired her style. 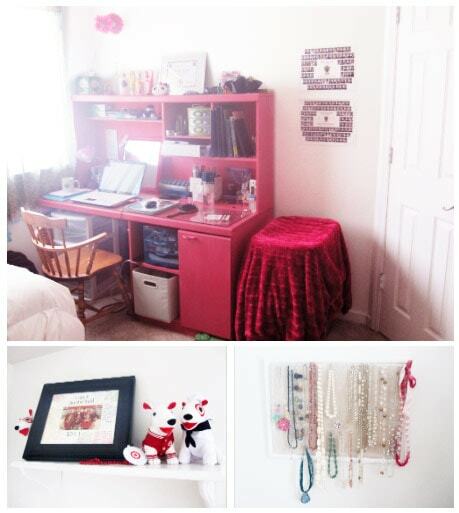 Sarah found the desk and hutch on Craigslist and painted them pink herself! I love the Target dogs on the shelf above her bed, as well as the simple and pretty jewelry organizer that she made herself. The flowers atop the armoire bring so much life into the room, as do the fun prints on the pillows and lampshade. I love the pinks and greens on the bedspread — they’re so fresh and pretty! Camille’s on-campus apartment at the University of Maryland perfectly showcases her interests while staying on top of interior design trends and still looking totally unique. How did she manage this difficult feat? Camille blends a geometric display of various pop culture images and posters, perfectly placed typography, and a bright, colorful color scheme to tie everything together. I’m absolutely in love with how comprehensive and creative Camille is when it comes to wall decor — she definitely has an eye for how to arrange photos and posters, and she really makes an effort to make her room reflect who she is as a person. Below, she answers a few questions about her style and decor. “I’m not sure there is one specific thing that inspired my design! I knew that there were large posters that I was dying to have on my wall , but I also knew I wouldn’t be able to afford to keep buying posters. That’s when I turned to magazine pages, which in actuality are just miniature posters! I ripped out magazine pages of pictures that intrigued me, of people that I liked, and of colors, images and brands that I gravitate towards. Camille’s wall has a fantastic blend of images from pop culture and historic artwork, and everything is arranged wonderfully, with the larger posters evenly spaced amidst the smaller ones. Also, the DIY collage on the wall is the perfect contrast to the geometric arrangement of the posters! What are your favorite pieces in your room? “I’d have to say my favorite pieces in my room are all the images of Lady Gaga I have, especially the huge poster of her sitting at the piano, which I ordered from Amazon for ONE dollar! I, too, am a musician and I look up to her so much as a fellow artist and as a woman. She inspires me every day! I got most of my images of her from magazines. “My secret for decorating on a budget is staying true to what actually interests me. I didn’t want to assign my room one specific theme or aesthetic so I would have to go out and buy things that fit that style. I wanted my room to be a hodgepodge of things that I like, which in turn made my room more distinctive and it made it easier to find random and cheap things. Magazines are a very easy way to decorate on a budget, and I had a lot of magazines laying around so I figured instead of throwing them away, I’d make use of them! Camille is just as trendy and fun-loving as her room, and the personal touches everywhere truly make her on-campus apartment her home! Which of the three rooms was your favorite? Do you prefer a minimalist approach to interior design, or are you a fan of making your walls a canvas for your imagination? Where were the unique pieces in your dorms and apartments found? Let us know with a comment! 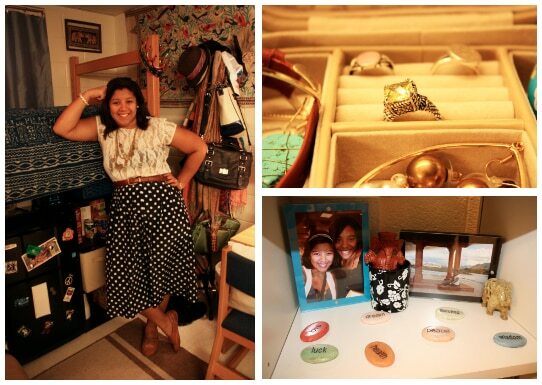 Want to be in an upcoming Dormspiration post? 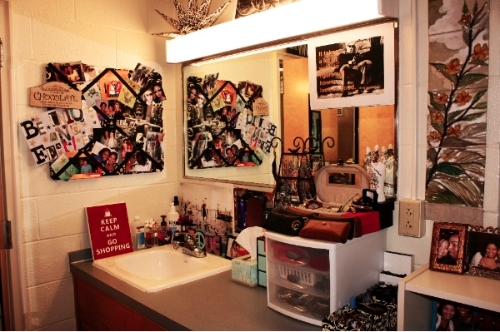 We’re always looking for more reader submissions for future Dormspiration posts! To see your room featured here, just send in 1-2 photos of your decor and a brief description of your design to [email protected]. Bonus points if you have a friend take a picture of you in your room. Can’t wait to see your submissions!